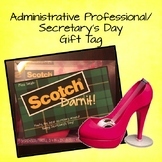 Looking for a cute, yet, practical gift for your secretary on Professional Administrative Day? Use this cute & witty tag for the perfect gift! Attach to a Scotch tape-dispenser ! 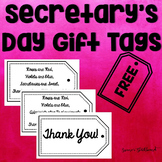 Secretary's Day Thank you Banner/pennant- Cut & tape to ribbon/yarn, hang above your secretary's work area Administrative Professionals' Day 2016 is Wed. April 27 ! 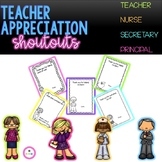 2 Signs: "Thank You For All You Do" and "Happy Secretary's Day"
Use this little note along with a flower to show the secretary at your school how much you and your class care! Comes in 6 different colors! These tags were meant to be added to a box of brownies to show your administrative assistants how much they mean to you. 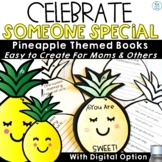 What an easy and CHEAP gift!! Thank You, Secretary! 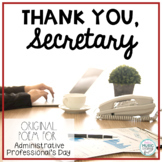 Original Poem/Note - Administrative Professionals' Day!